Brackish lagoons are vulnerable aquatic environments that host specifically adapted fish species, as well as marine species on a temporary basis. We used long-term passive fishing gear data, to investigate how meteorological factors (i.e., wind and rain) affected resident and marine fish movement between inner and outer habitats in a Northern Mediterranean coastal lagoon. In particular, we used multivariate and threshold analyses to explore the relationship between fish catches in a transitional habitat and wind and rain variables, accounting for other major temporal and environmental variables. Our results indicated that meteorological factors had effects comparable to seasonal and annual variations, for wind and rain, respectively, and thus are potentially relevant drivers of the movement of fish species between coastal lagoons and marine habitats. Overall, prevalent wind direction and rain on the day before sampling were the most effective meteorological variables in enhancing fish movement. Furthermore, movement of lagoon resident species seemed to be enhanced by wind factors (both direction and wind speed), whereas marine species movement was enhanced by rain factors (but it was not possible to disentangle annual and seasonal effects for the latter). 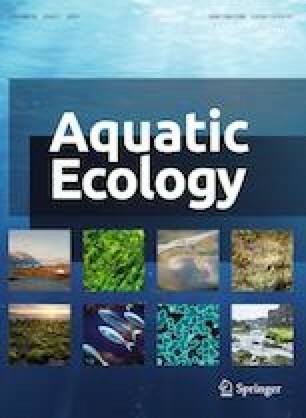 Among other factors, dissolved oxygen seemed to be linked to prevailing wind direction and showed significant thresholds around 7–8 mg/l for the increased movement of a number of marine species. Prevailing and gusty wind directions (around WSW) and speed (2–6 m s−1) also showed significant thresholds for at least a resident species and a marine species that uses the lagoon as nursery. The authors would like to thank Dr. Maria Pia Pagliarusco, director of the Po River delta national park, as well as Dr. Elisabetta Mantovani and Dr. Renato Finco, of the Province of Ferrara Administration, for the enduring and productive collaboration. We also thank Ing. Paola Magri and Dr. Stefano Lovo of ARPA Emilia-Romagna for the willingness to provide physical and chemical water parameters. Sincere and heartfelt thanks should also go to Dr. Marco Panzacchi, vice president of the Italian sport and recreational fishing association, for providing access to his stationary lift-net and all related facilities, as well as to the current President, Maurizio Braghittoni and to the former president, Domenico Sangiorgi, who left us for a better world. Finally, we would like to thank two anonymous reviewers for the constructive comments to our manuscript.